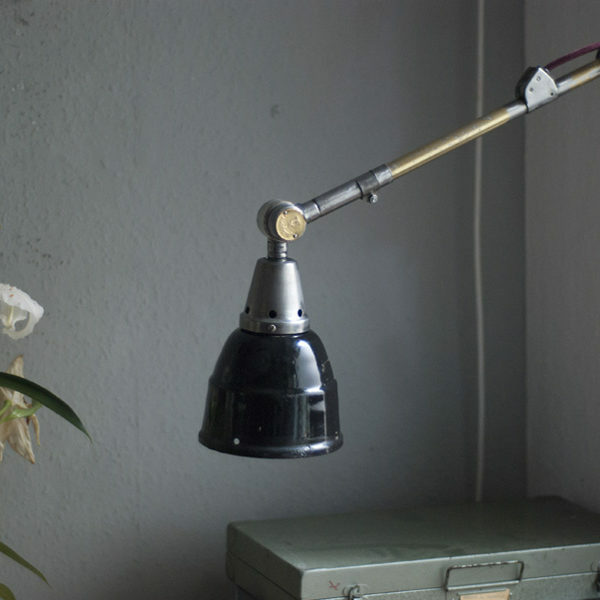 The design of this vintage hinged lamp was developed by Curt Fischer, who worked on the idea of the ‘steerable light’ from approx. 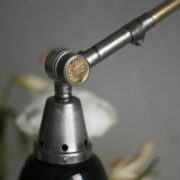 1920 on. 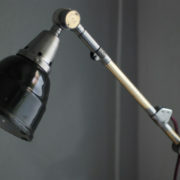 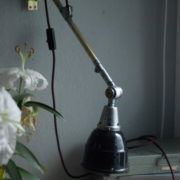 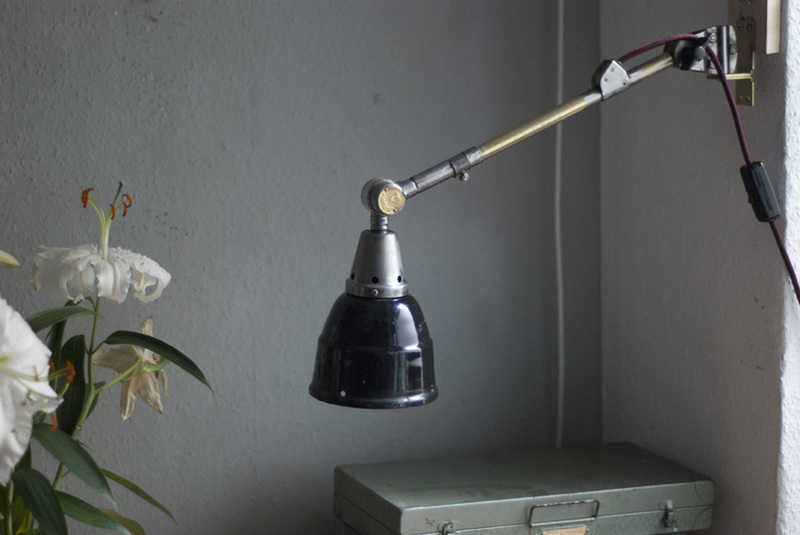 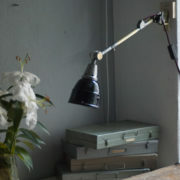 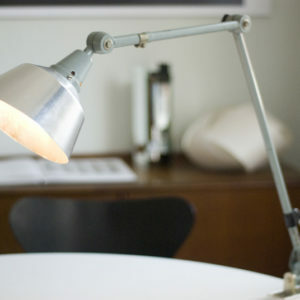 Even before the well known designs by Christian Dell or Marianne Brandt, Curt Fischer realized the idea of the so-called ‘steerable light’ with the all-round movable work lamp. 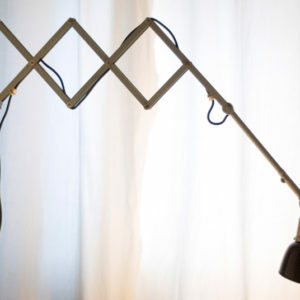 The metal workshop at the Weimar Bauhaus was lit with Midgard lights, serving as an example to Bauhaus students, and was used later in Ilse and Walter Gropius’ master house livingroom at the Dessau Bauhaus. 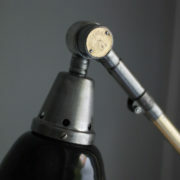 The lamp is in very good overall condition and is marked with ‘Midgard’ at the base. 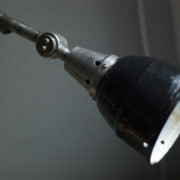 It has been manufactured before the 2.WW. 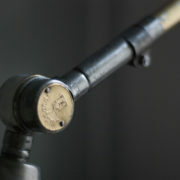 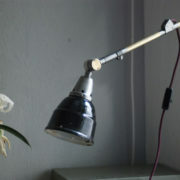 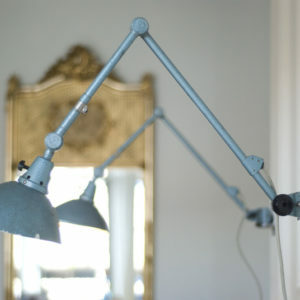 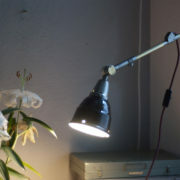 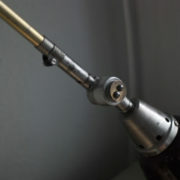 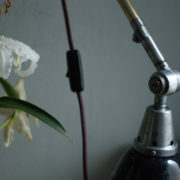 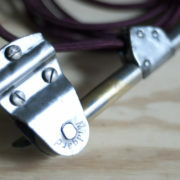 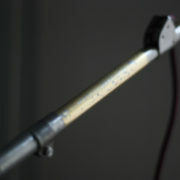 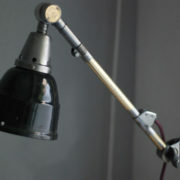 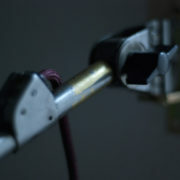 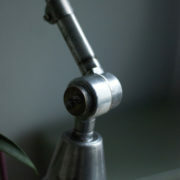 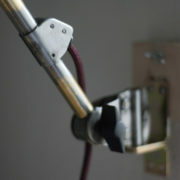 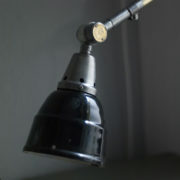 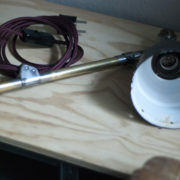 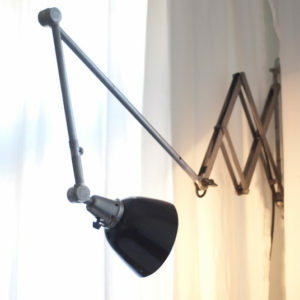 The lamp can be easily attached to the wall with the non original wall mounting and screws.